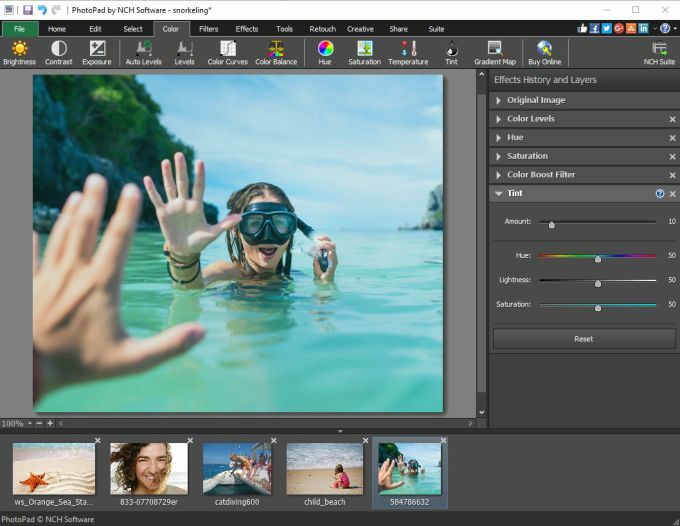 With PhotoPad you can quickly open and edit your photos and it is designed to be very easy and intuitive to use. Best of all it is completely free. A full list of features follow but a quick way to try it out is to download now and install. 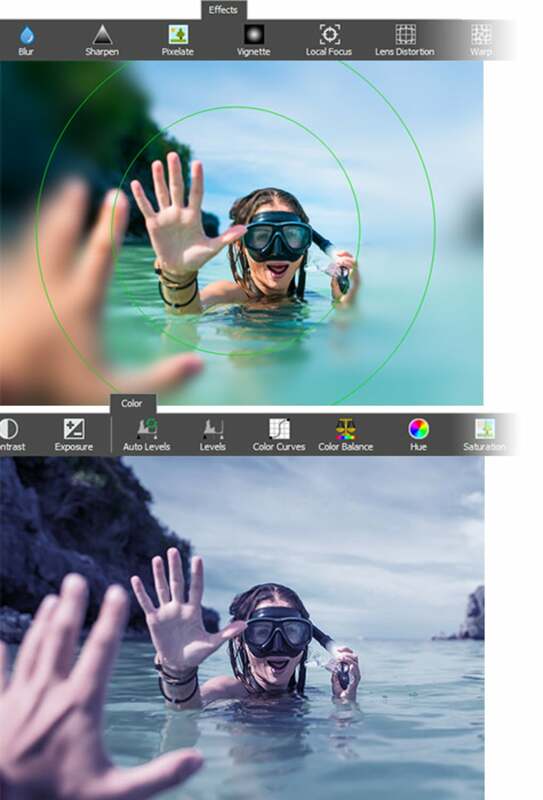 Crop, rotate and flip photos and images. Load gif, jpg, psd, png, bmp picture formats and more. Edit hue, saturation, brightness and contrast. 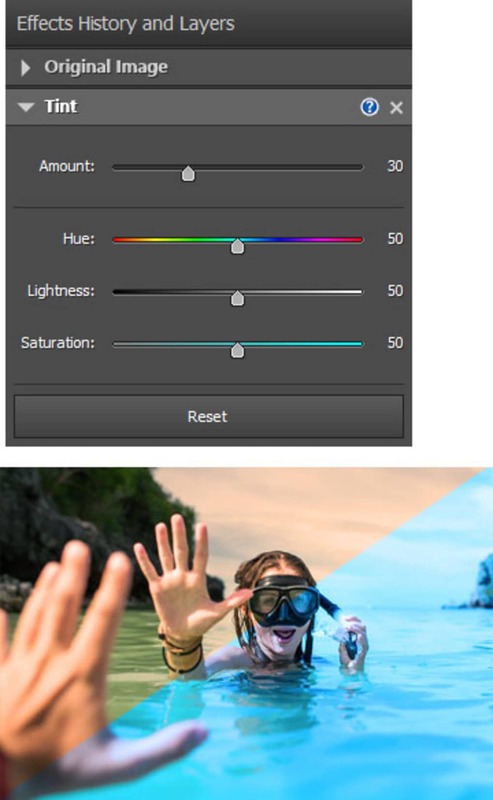 Apply effects such as sepia tones, greyscale, red eye reduction and more. 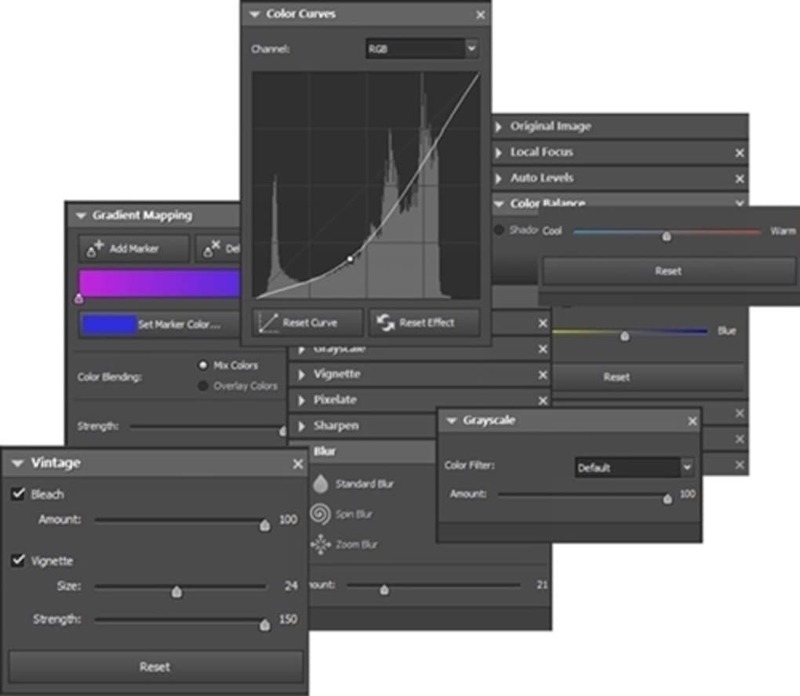 Easy deletion of each applied effect without removing other applied effects. 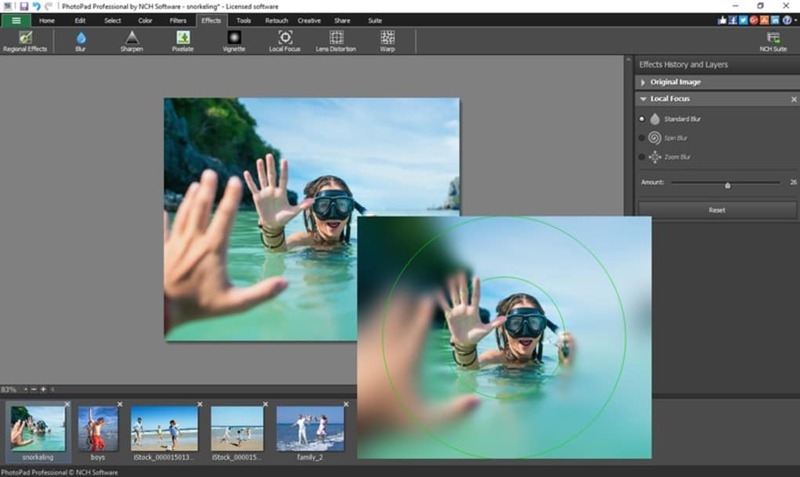 PhotoPad can be added to your right click menu for easy access. Combine with PhotoStage SlideShow Creator to produce a slideshow to display on your TV, iPod, PSP or computer. Integrate with Pixillion Image Converter to convert your photos to a supported format. the best one. is a professional and compact that you have all the professional operations of adjusting a picture, it is easy to work with him, I like, if I could attach other images in the image in photoshop as it would be called perfect. What do you think about PhotoPad? Do you recommend it? Why?